Besides your home oral hygiene habits, a healthy smile relies on routine care from your dentist in San Antonio. The American Dental Association recommends you have a cleaning and checkup at least twice a year; however, you were among the one-third of adults who did not schedule an appointment. If you have been delaying the services you need for healthy teeth and gums, what better time than the new year to recommit to a healthy smile? If you need a new dentist, Jones & Knight, DDS is the dental team for you. Too often, people believe they do not need to see their dentist until after a problem develops, but this is untrue. Routine care allows your dentist to keep your teeth and gums healthy to prevent problems from occurring in the first place. This lessens the need for a costly treatment in the future to lower your long-term dental expenses. In fact, every $1 you spend on prevention can save you $8 to $50 on restorative or emergency services. Jones & Knight, DDS provides family-oriented dental care to the community to create generations of healthy smiles. Under the skills, qualifications, and experience of Dr. Troy Jones and Dr. George Knight, you will enjoy advanced dental services to accommodate your oral health needs through all stages of life. Our state-of-the-art practice features the latest technological advancements to create accurate treatment plans while promoting your comfort. Besides comprehensive services, you will also enjoy flexible office hours, a convenient location, and competitive rates. Your oral health needs change through all stages of life. 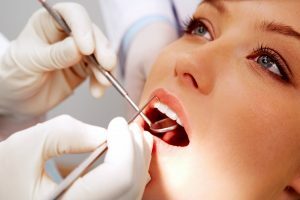 We do not want to refer you to another dentist in Stone Oak, which is why we provide complete services under one roof. We focus on preventive care to keep your smile healthy. Unfortunately, even with a proactive approach, an issue can still arise. We will quickly restore your smile with high-quality restorative services. Besides the health of your smile, we will always help you look your best with preferred cosmetic dental treatments, like porcelain veneers, all-ceramic crowns, and Invisalign. If your smile is compromised by tooth loss, we can help you fill the empty spaces. Not only do we offer traditional treatments, like dentures, we also provide the most successful solution using dental implants. With the right oral hygiene habits at home and the care of a qualified dental team, you can help to ensure your teeth and gums stay healthy. This year you can recommit to a healthy smile by choosing a dental practice that will give you the advanced care you deserve. Dr. Troy Jones is supported by over 29 years of experience in the dental field. He regularly furthers his education to provide his patients with the best care possible. He will help you reach and maintain your oral health goals using solutions catering to your individual needs. If you need a new dentist, contact our office today to schedule your first visit.